We all want the best for our children. We want them to grow to have everything they want, from a successful career and a home that they’re happy with, to a family of their own. We also know that it’s important to start planning early, to make the most of our own finances if we’re planning to accumulate savings for kids. If you specifically want to cover the costs of further education, then a college or university savings plan could be just what you need. You’ll be able to invest between £100 and £2,400 a year into a fund that will eventually cover or help towards the cost of your son or daughter’s college or university education. It’s impossible to say what the future holds for university fees, but based on current trends it’s likely that children will be in an enormous amount of debt by the time they graduate from their course. College and university savings plans can pay out a lump sum when your child reaches the age of 18, or once they’ve finished their course. Payments can also be staggered over the years during which they’re studying. Additional benefits include payments of up to £200 a week if your son or daughter is ill and unable to go in to college or university for an extended period of time, and ongoing premium payments even if you, as the contributor to the fund, pass away during the term of the plan. A Junior ISA pays out a cash lump sum when your child reaches the age of 18, which can be spent on anything. You’ll need to pay an initial sum of £100 to set up the account, but can then contribute anything from £10 a month. In total, you can invest up to £3,720 per year. 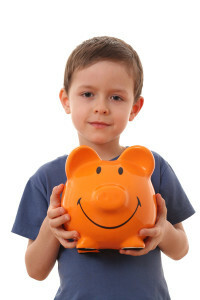 One of the main benefits of a Junior ISA is that anyone can pay in. Grandparents, aunts, uncles and godparents can all contribute to the same fund, allowing everyone to play a part in saving for your child’s future and reducing some of the financial burden from you. A Young Saver Plan is perfect for parents that wish to contribute a small amount each month, knowing that a tax-free lump sum will be paid out in future. You can contribute as little as £7.50 per month or as much as £100 per month, to a plan that matures after 10 years or once your son or daughter reaches the age of 18. Young Saver Plans come with sickness benefits, allowing you to claim up to £400 a week from your child’s 5th birthday if they’re suffering from a long-term illness and you need to take time off work to care for them. A Young Saver Plan is a flexible plan, allowing you to vary your payments and to withdraw up to 25% of the fund’s value at any time after your child’s 11th birthday. Saving for a child’s future will enable them to fulfil their own personal goals and to survive in an increasingly expensive world. You can apply for accounts online, making it easy to begin saving in next to no time.